Home Do you know tomorrow loves redundancy? Do you know tomorrow loves redundancy? Yes, you read it right. Tomorrow loves redundancy. Redundancy is the word I hear the most since 2014. Just in the first quarter of 2018, 96 thousand people made redundant in only the United Kingdom as per statics. According to the journal published in thejournal.ie , McKinsey consultants estimated 800 million jobs could be made redundant globally due to technological advancement in the next ten years. It is effortless for your employer to make you redundant due to automation or technological advancement. It is a disturbing situation for anyone to be in and challenging to understand where we and our jobs stand in this automotive world. I was working in an IT industry as a technical manager and witnessed the company making four back to back redundancies. The first fact to mention, I didn’t expect my company would ever do that. Even though I saw general news or posts on this topic in every media, I was confident that our company would not make people redundant. Everybody in the company got surprised to see people leaving the building due to redundancy. The second most shocking fact is, people whom we never expect to lose their jobs got redundant. Those are the people who are talented, hard and smart workers, contributed to the company’s growth, working from years in the company. The only reason which made those sincere and loyal people lose their jobs is automation. Yes, it is difficult to have redundancy discussions. As a manager, I faced this hard situation when I must make one of my team members redundant. Again, this person is a loyal, genuine and hard worker. The only reason to make him out of the company is that the scope of his job no longer exists. Other than having this unpleasant discussion and witnessing their pain and struggle, I didn’t succeed to help much to retain his position. I got thoroughly disturbed after the discussion, and only those visuals of shock and sadness of my team member are repeatedly coming into my mind. With these constant ongoing visuals, one straight question came into my mind -what happens if I got made redundant on anyone terrible day? As soon as I got that question in my mind, I tried to put myself in the place of a redundant employee. After having this thought in my mind, darkness surrounded me and every inch of my room. Pin drop silence fenced me, and I can hear my heartbeat in that profound silence. My relations and family started revolving all around my head. Losing my job meaning not able to give the quality of life to my family thought made my body to feel weak. With these insecurities, sweat started rolling over from my forehead just for putting myself in place of a redundant person. Slowly my heart started beating intensely with anxiety. I felt angry with myself, situations and the job. I felt awful, shivering, sick physically and psychologically, no control on myself, Heart-Breaking, depressed. After handling all those emotions, I truly understood the feelings, struggle and pain of a redundant person. Now, I came into reality from that image, and I truly never want to be in that horrible helpless situation. Based on the stats I provided starting of my blog, You or I may well be the next person to be made redundant, and we can’t predict. We know what we are going to eat for breakfast, lunch or dinner but don’t know what is going to happen to our job in the next minute. We don’t have any security or guarantee to our jobs and can be a victim of redundancy in this automotive world. These feelings and thoughts provoked me to open my eyes and to re-look into this fascinating world to find alternatives. I started searching for options to have a better quality of life without fear of redundancy. Making money online through digital marketing or by establishing a successful online business stood out of all options I gone through due to advantages of them. 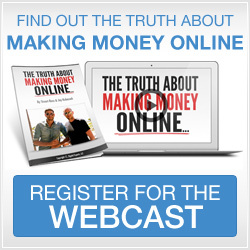 Establishing online business allowed me to have freedom, time and money. Since it is my business, I will be my boss, and I don’t have that fear of redundancy. Scaling my revenue or income will be in my hands. I can work from anywhere in the world if I have a laptop and internet. I can even choose the hours I want to work once after I got set up. Working flexible hours resulted in having more free time. Having free time allowed me to spend more time with my family and to drive my passions. I love travelling but not managed to go much due to my daily job and restrictions around holidays. Now I am glad to have all that freedom, time and money by establishing a successful online business to drive passions. Sign up here to receive same free training videos I received to set up an online business from scratch. When I decided to establish my career in an online business, I don’t know basics of it. I don’t even know where to start. I don’t have marketing skills, I am not technical enough, and I don’t have access to any resources to help me. I don’t know how to make controlled investments and to get consistent results to be successful. All those thoughts turned as stoppers and obstacles until I found SFM digital marketing educational system. SFM made everything so easy for me to establish an online business from scratch by answering all those questions in my mind. They got a well-developed educational system to help us through every phase as a newbie. 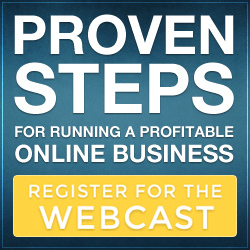 Sign up here to receive same free training videos I received to set up an online business from scratch. Progress through the video series after signing up to clear questions from your mind. You can always reach me out through contact me page, and I will personally look to answer any of your questions. The one other best fact about SFM is their strong community who are eager to help and support us. You will never be alone and never have to work on your own to overcome hurdles while establishing your online empire. SFM community helped all the way through in my online marketing journey and still helping me. 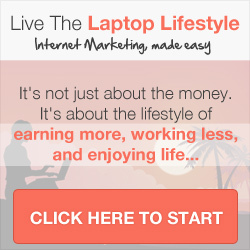 I am sure you will experience world-class mastermind community once you joined the group. You don’t need to wait for anything now to change your life and to come out of that fear of redundancy. 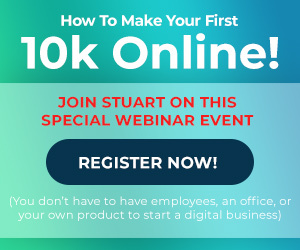 Sign up here to receive same free training videos I received to set up an online business from scratch and experience fearless life. Remember, I am no different from you. If I can turn my interests to income through online marketing and living a bold lifestyle, you can do that too. All you need to do is to take that step of initialisation by signing up to receive free training videos.